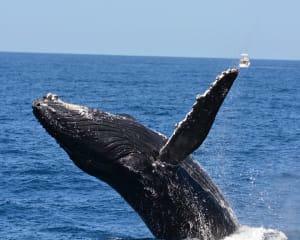 Whale Watching Tours – Sydney, Gold Coast, Melbourne and more! Different waters have different highlights. Whale watching in Sydney, for instance, has you appreciating humpbacks and southern right whales with the sprawling city as a backdrop. There’s something quite magical about interacting with these creatures while surrounded by stunning architecture—a true sense of cohabitation! 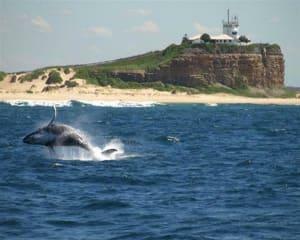 Whale Watching in the Gold Coast also certainly has its perks. 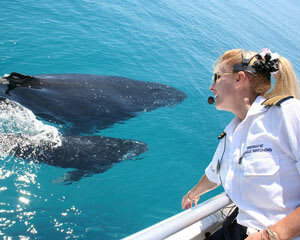 For one, the Gold Coast offers one of the longest whale watching seasons in Australia. 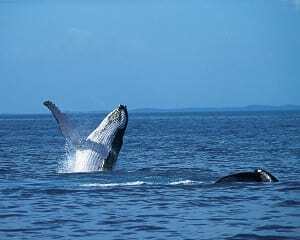 Secondly, its shallow bays give you even better eyeshot at the humpbacks and other whales! Phillip Island, just off the coast of Melbourne, not only plays home to whales but also dolphins, fur seals and much magical birdlife. It’s by far one of the most active wildlife destinations in the country! 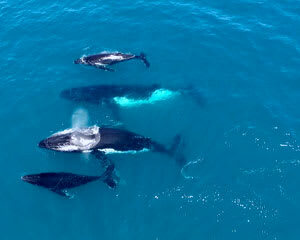 We have whale watching experiences all over the nation. See if there’s something close to home or, if a particular destination has the whale watching experience piques your interest, take a weekend trip with the family! Beyond Whale Watching – Explore the Extras! 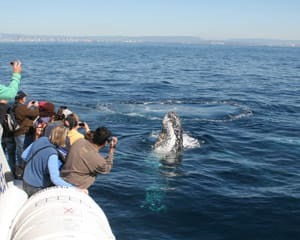 Many of these whale watching tours offer exciting extras. One particular Phillip island whale watching cruise features a delectable lunch on a half-day excursion that takes you to not only whale watching sites but also seal rocks and areas populated by dolphin pods! 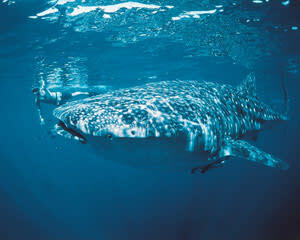 Or, if you’re up for something daring, you can go swimming with whale sharks at Ningaloo Reef! These gentle creatures, along with rays and colourful fish, will swim right by your side and let your experience their many quirks! It’s incredibly cathartic to see a 15-meter humpback cruising by the side of your catamaran as though you were part of its pod. These whale watching experiences offer what will probably be one of the biggest “wow moments” you’ll ever have. 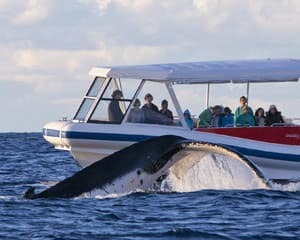 And don’t worry about no-shows; Australia’s waters are exceptionally rich in whale life—many of these whale watching experience offer sighting guarantees! Don’t forget your camera!